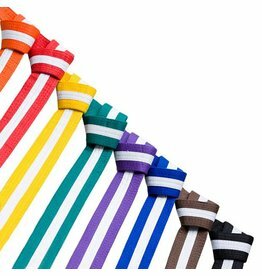 In even more recent times than the introduction of Coloured Martial Arts Belts, and the development of more colours into the mix, striped belts have become popular in many styles. 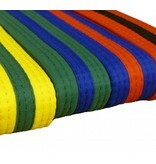 The martial arts belts available to buy on this page are a striping system popular with Taekwondo. 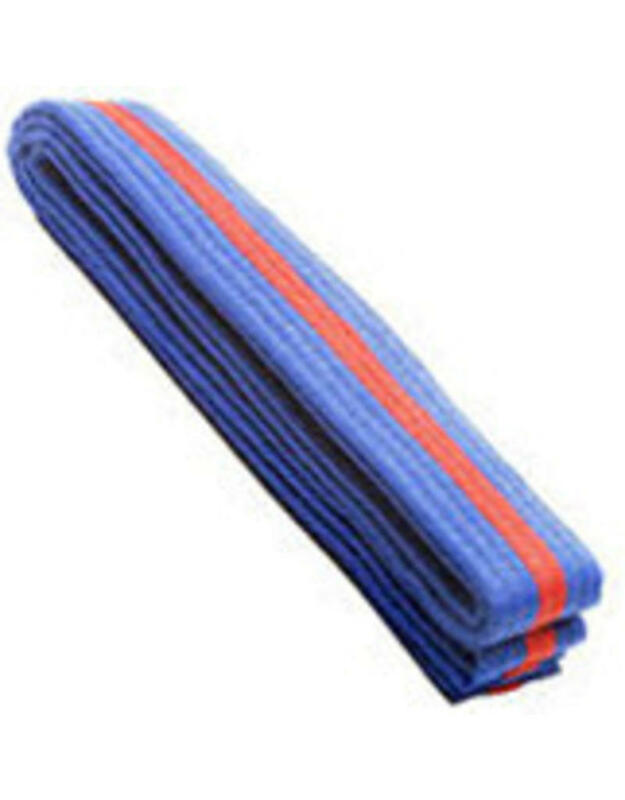 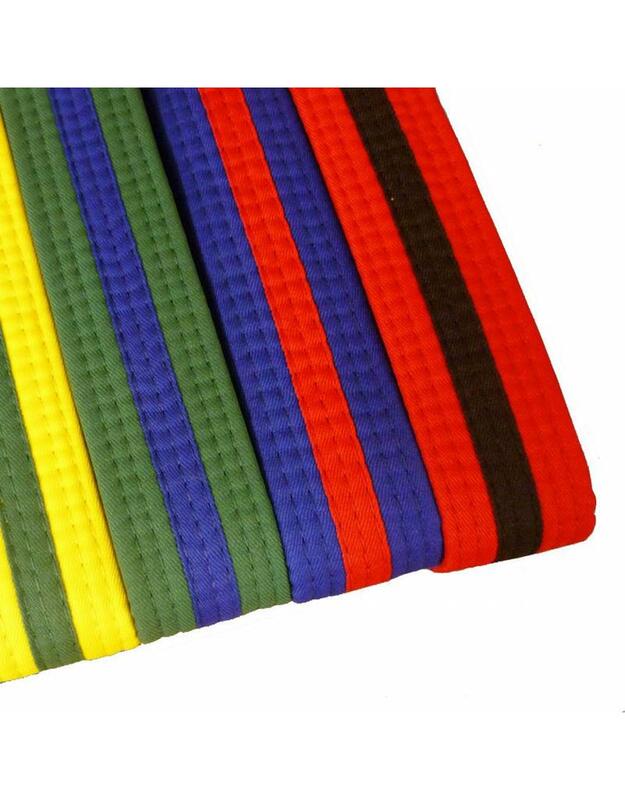 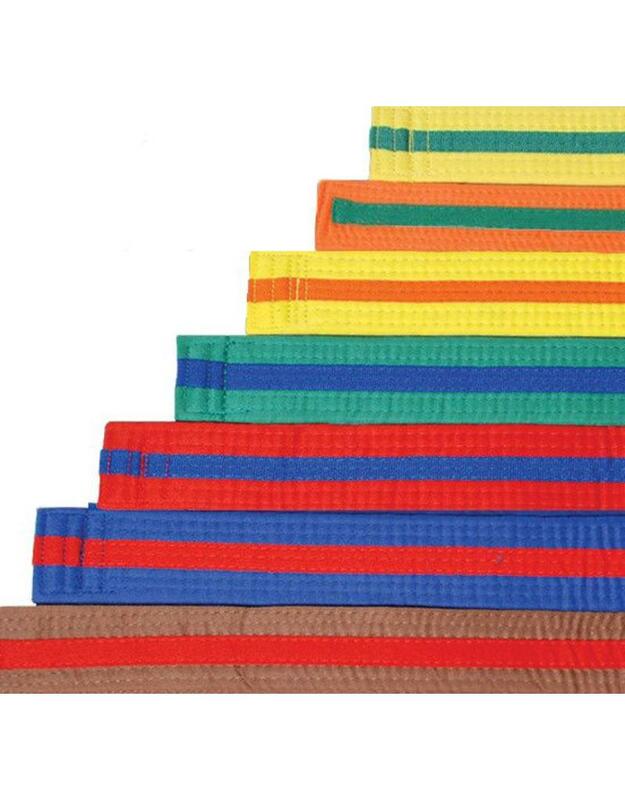 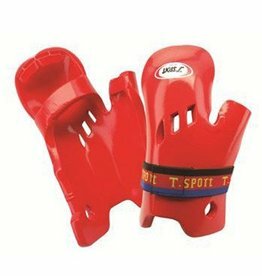 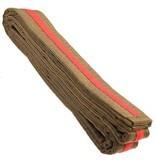 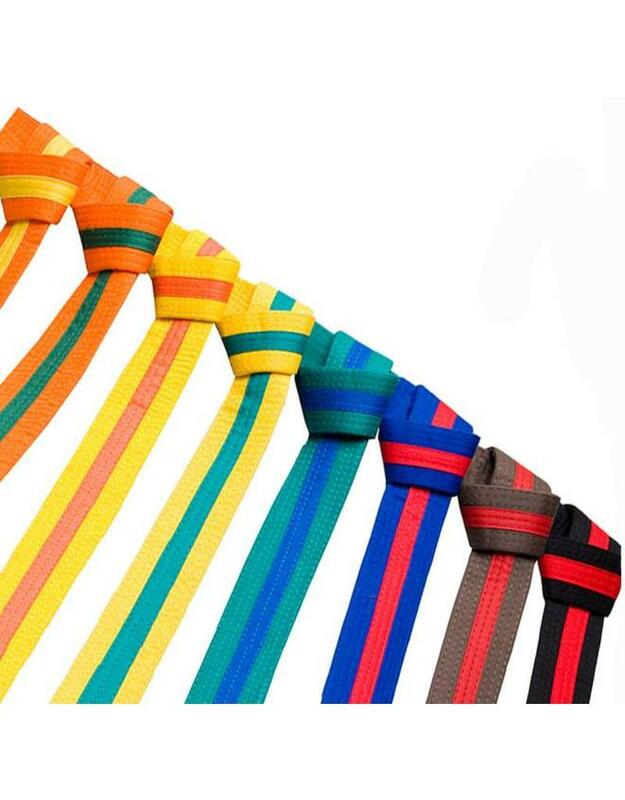 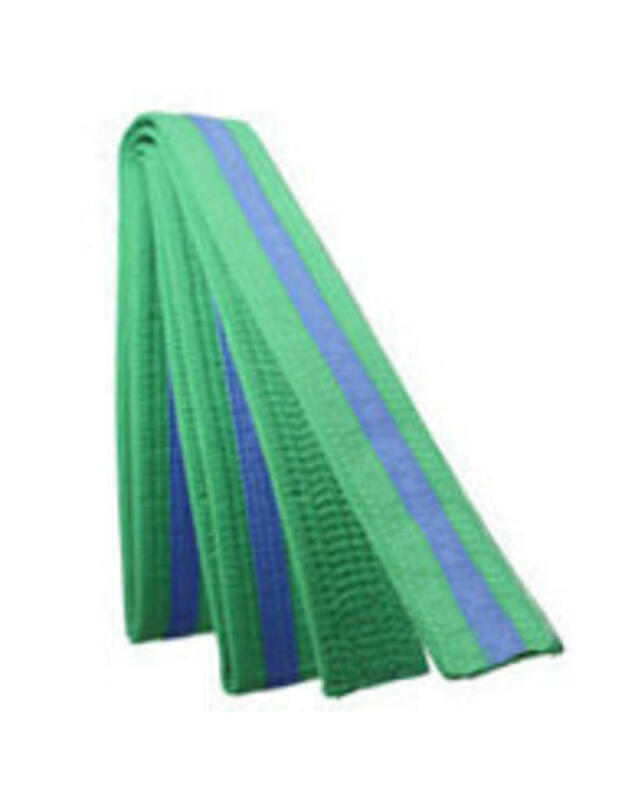 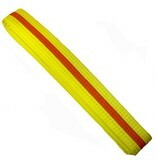 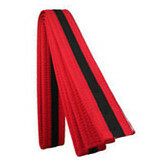 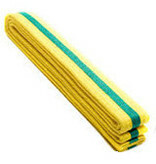 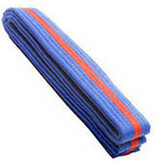 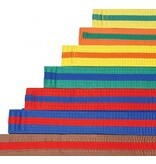 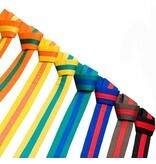 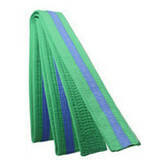 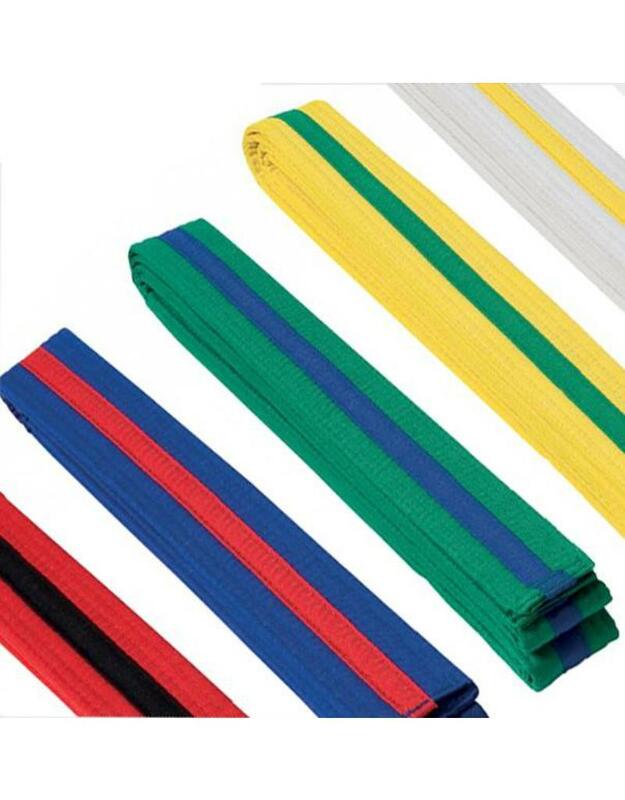 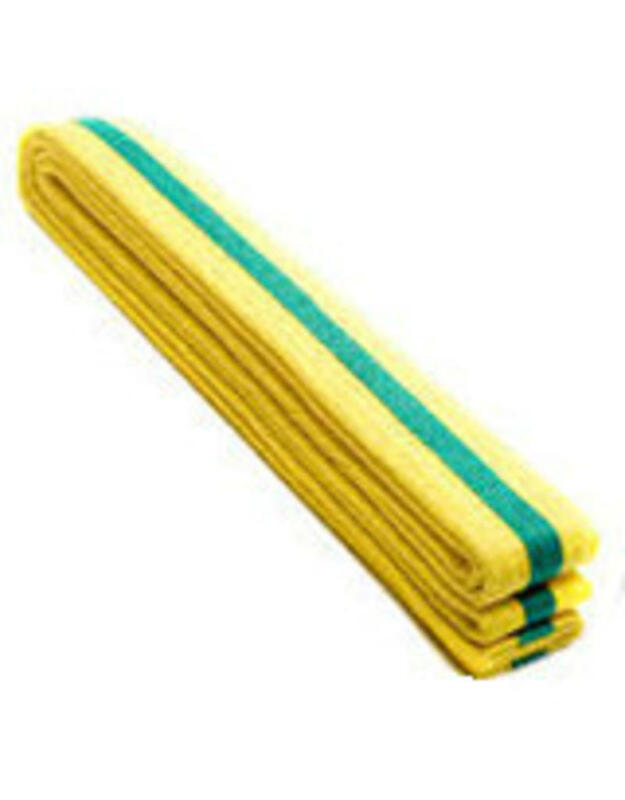 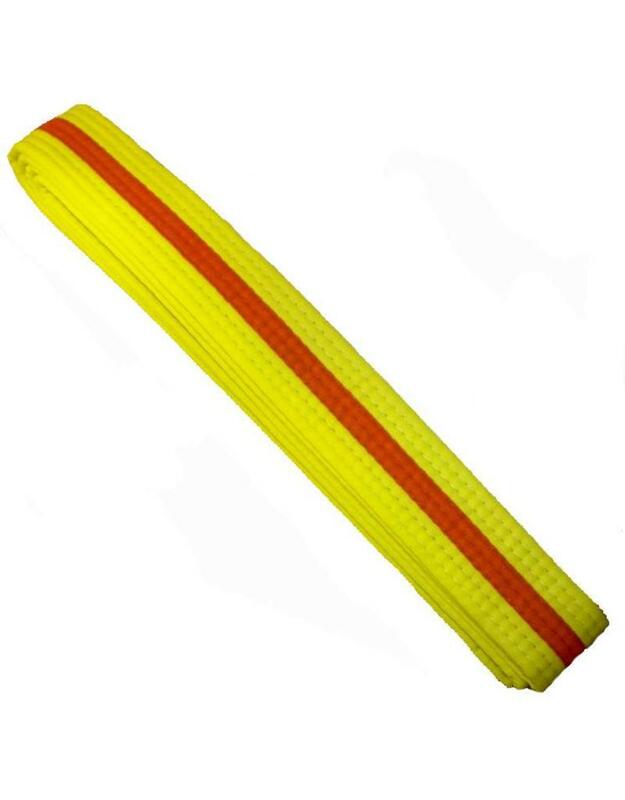 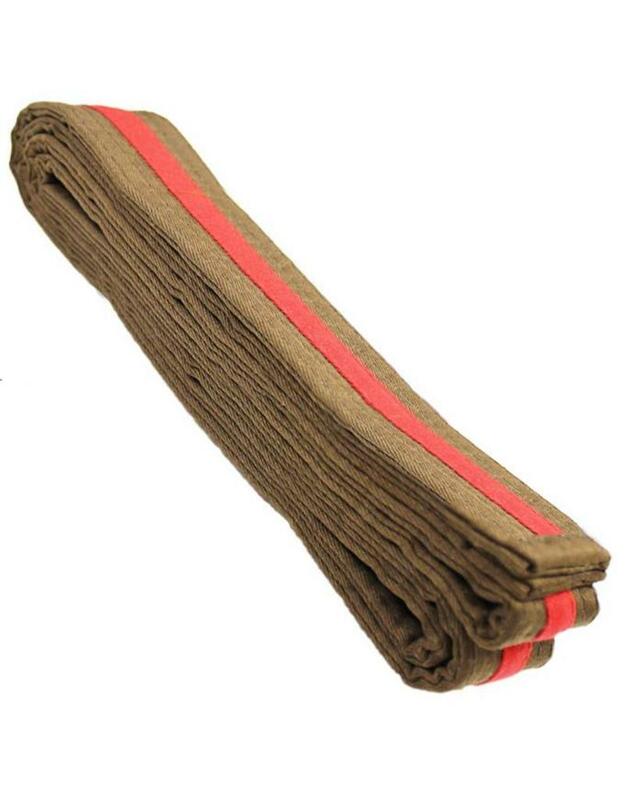 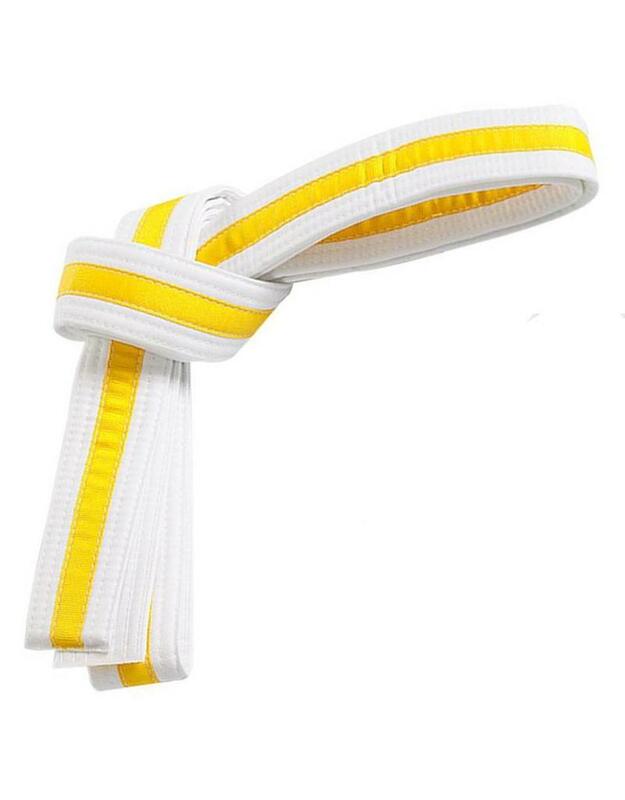 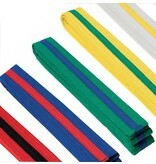 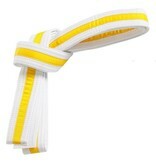 These Colour Stripe Belts are now common place in Taekwondo. 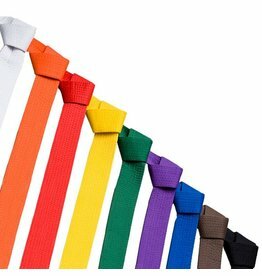 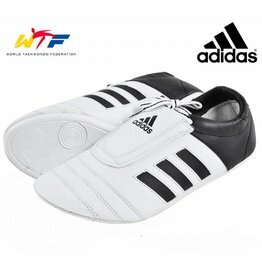 The Taekwondo stripe belts are belt gradings, which sit between the standard plain coloured martial arts belts up until the achievement of Black Belt. 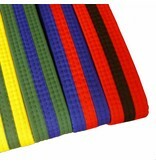 This introduction allows more gradings and a more detailed syllabus but also a easier more detailed way of seeing everybody level of ability in the class. 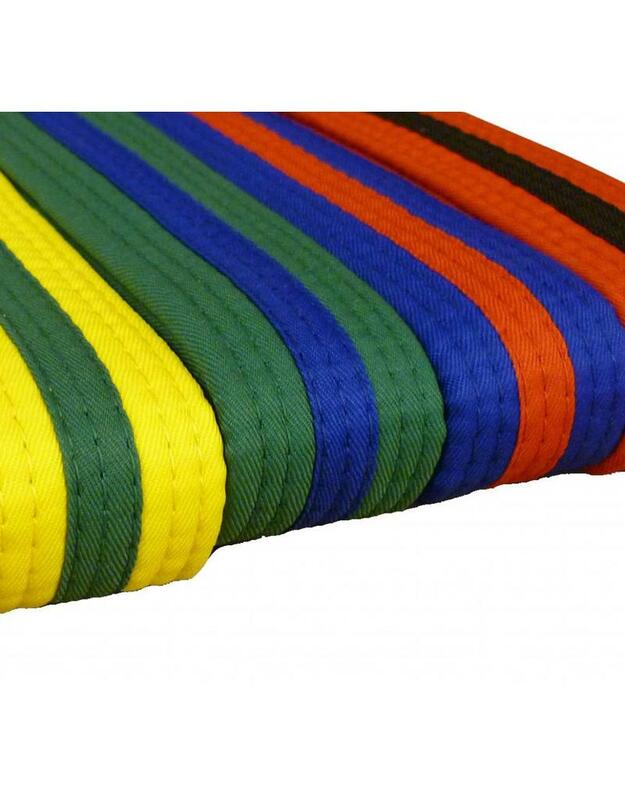 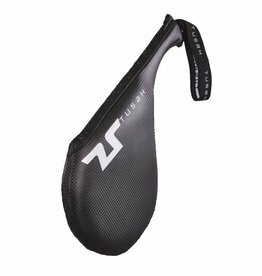 Other styles including Jiu Jitsu that use them as a way to reward someone who has had an exceptional grading. 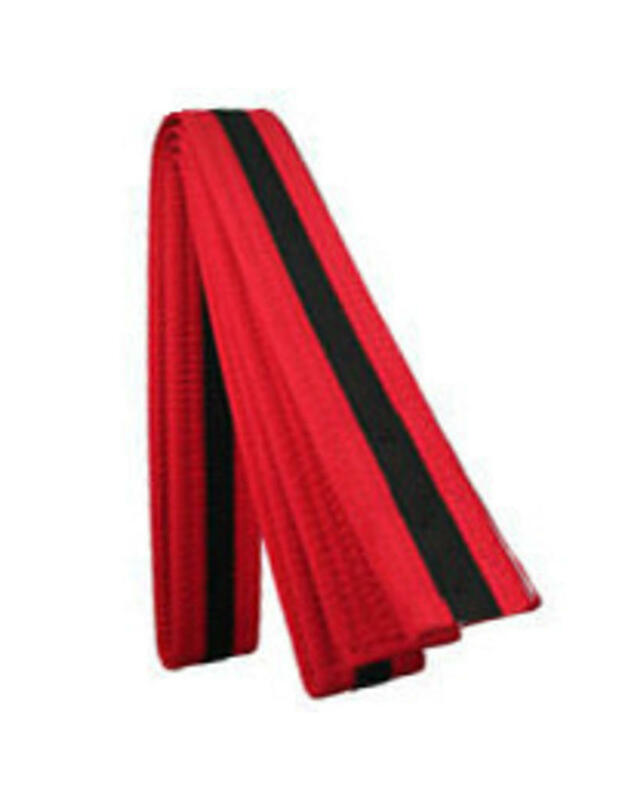 Especially at the lower grades, as a way of knowing who’s done well and has got some talent and ability above the others in the class.